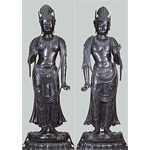 Features renowned statues, paintings, and other items from the Yakushi-ji Temple in Nara, the headquarters of the Hosso School of Buddhism. 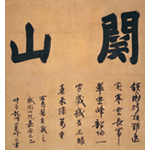 This exhibition is held to commemorate the 1300th anniversary of Heijo-kyo, established in Nara as the national capital. Features 19th century French ceramics, including plates and cups, created using designs based on ukiyo-e and other Japanese art. This exhibition unveils a valuable collection of works that has hitherto rarely been seen. 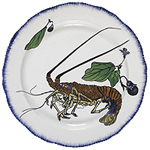 Photo: Round Plate with Lobster and Eggplant design, from the Rousseau Dinner Service, Musée d’Orsay, Paris, France. 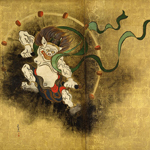 In an innovative approach, celebrated works of 12 pairs of great masters of Japanese art traditions, from the medieval period to the modern age, are presented as opponents in a showdown. The relationships between the "Dueling Geniuses", such as Unkei and Kaikei, and Kano Eitoku and Hasegawa Tohaku, take various forms, including teacher/student, rival, and influence. Compare and contrast these works, sense the connections between the artists, and feel as though they are competing against each other. Sri Lanka is an island nation boasting a rich cultural heritage reaching back to more than 2000 years. This exhibition features items revealing the essence of Sri Lankan culture, such as images of Buddhist figures and Hindu gods, as well as artifacts, and introduces world heritage sites and natural beauty. 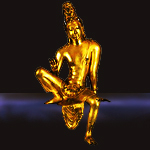 This is the first time the finest examples of Sri Lankan cultural heritage are exhibited on a large scale in Japan. 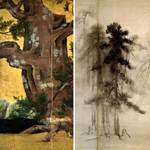 Featuring Rinpa masterpieces, by renowned artists such as Koetsu, Sotatsu, Korin, Kenzan, Hoitsu, and Kiitsu owned by collections in Japan and overseas, exhibited together to introduce the works of great individuality from this celebrated tradition. This exhibition is held in celebration of the 350th anniversary of the birth of Rinpa master, Ogata Korin. 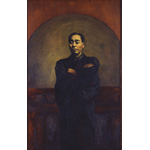 This exhibition commemorates the 150th anniversary of Keio University, showcasing the founder Fukuzawa Yukichi’s active involvement across a wide range of fields and the history of his school, together with artworks collected by former pupils who went on to become successful leaders in the worlds of business and industry.